Welcome to my inaugural e-newsletter, and more specifically, Session Wrap-Up. Many people, like me, rely on social media to receive their news, but I recognize that not everyone is inclined to do so, which is why I have decided to also utilize an e-newsletter to communicate directly with you. Below you will find a summary of this week’s activity by the Senate of Pennsylvania while we were in session in Harrisburg. Going forward, I will keep you updated on both Harrisburg and district happenings through this means of communication. If you would like to follow me on social media, you can find me on both Facebook and Twitter. On Wednesday, the Senate passed bipartisan legislation of mine that closes a gap in current law to differentiate between trespassing on everyday property or buildings and trespassing on critical infrastructure facilities. Trespassing and damaging facilities is currently illegal. This legislation does not ban any activity that is not already against the law. Instead, it specifies exactly what level of crime a person can be charged with when they partake in such illegal activities. Pennsylvanians rely on many of these facilities for electricity, telephone service, clean water, natural gas, and delivery of goods. Halting operations not only affects the business but the people of this Commonwealth and its economy. Damage to facilities can do the same but can also be harmful to people’s health – or even life-threatening. This week the Senate approved the nominations of two residents from the 31st Senatorial District to serve on state boards. Christopher Delozier has been appointed to the Municipal Police Officers’ Education and Training Commission, while Kirk Stoner will serve on the State Planning Board. Congratulations to Christopher and Kirk. It is always great to have individuals from the district recognized for their expertise and appointed to serve the Commonwealth in such a capacity. The Senate passed a package of bills on Tuesday to allow many Pennsylvania municipalities to purchase used equipment, vehicles, and other personal property from volunteer emergency service organizations without competitive bidding. Lifting that mandate would cut costs and ultimately save taxpayers’ money. The Senate this week approved Senate Bill 1031, which will increase government transparency by requiring the Department of Insurance to submit an annual report detailing its spending for third-party contractors to conduct fiscal examinations of insurance companies doing business in Pennsylvania. Fiscal inspections are done to safeguard consumers to ensure that insurance companies are financially responsible. While it is understandable that the Department may need to contract with outside agencies to perform such inspections, the Department must take every step possible to ensure contractors are performing their duties in a responsible manner that does not place an undue burden on insurance companies, consumers, or taxpayers. House Bill 566 provides for the suspension of services by a contractor or a subcontractor if timely payment is not received in accordance with the terms of a construction contract. The bill returns to the House of Representatives for concurrence on Senate amendments. Legislation to reduce the regulatory burden on licensed travel agents is being sent to the Governor after the Senate concurred on House amendments to Senate Bill 630 on Wednesday. The bill addresses the selling of insurance by travel agents by allowing them to work under the license of the producer of the insurance product. This places the responsibility for compliance with state insurance regulations on the insurer, rather than each travel agent. The agents would still be required to abide by regulations when selling an insurance product on behalf of the producer, but they would not be required to be individually licensed by the Department of Insurance. Many of these individuals are running small businesses, and they want to do what they do best – provide travel services, rather than serve as insurance agents. The Senate returns to voting session Monday, June 4th at 1 p.m. You can watch session live at senatormikereganpa.com. 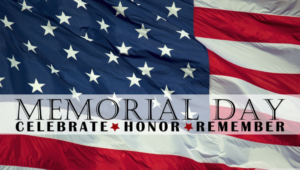 I wish you all a safe and happy Memorial Day weekend, and I thank those families whose loved ones made the ultimate sacrifice for our country.